Ashok Balasubramanian is Head of Syntel’s Services Transformation Group, where he oversees the development of automation solutions to transform and modernize clients’ technology environments to meet the challenges of the digital economy. He previously led the development of Syntel’s suite of cloud computing solutions. Prior to joining Syntel, Ashok led the stores practice for TCS, managing its products and services portfolio and driving innovation in the retail vertical. 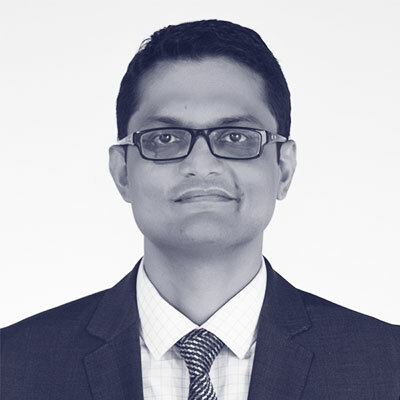 Ashok has 16 years of experience in business and technology areas including architecture design, systems integration, package implementation, operations management, functional consulting and product management. He holds a Bachelor’s in Electrical and Electronics Engineering from Anna University and an MBA in Marketing and Strategy from Indian Institute of Management, Bangalore.